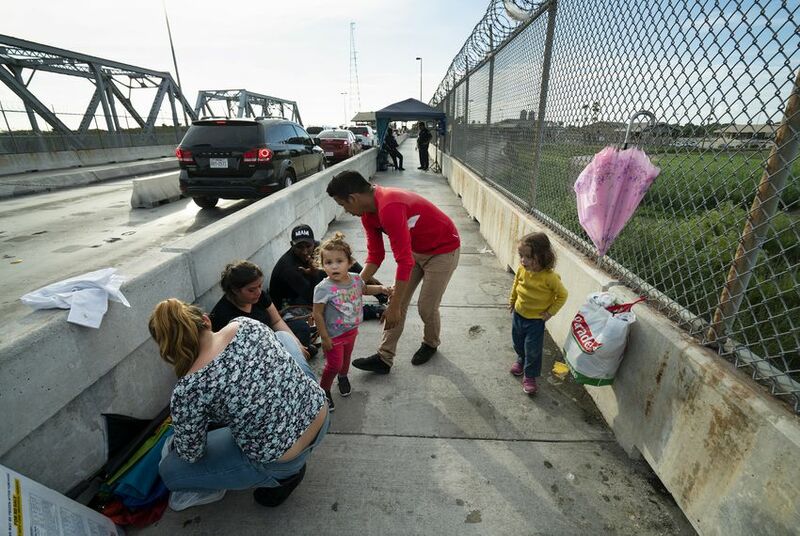 The Supreme Court on Friday denied the Trump administration’s request that it be allowed to immediately enforce a new policy of denying asylum to those who illegally cross the U.S.-Mexico border, a change that lower courts declared likely illegal. Four justices — Clarence Thomas, Samuel A. Alito Jr., Neil M. Gorsuch and Brett M. Kavanaugh — would have granted the administration’s request to let the order go into effect. A panel of the U.S. Court of Appeals for the 9th Circuit earlier this month kept in place a lower court decision that stopped the policy’s implementation, saying it was simply a way around specific language in federal law that allows all who enter the United States, regardless of where, to apply for asylum. “Just as we may not, as we are often reminded, ‘legislate from the bench,’ neither may the Executive legislate from the Oval Office,” wrote Circuit Judge Jay S. Bybee, a conservative nominated by President George W. Bush, in the 2 to 1 decision. President Trump’s Nov. 9 proclamation barred asylum for anyone who crossed the U.S.-Mexico border between official ports of entry, a reaction to recent caravans of migrants from Central America. Trump denounced U.S. District Judge Jon Tigar as an “Obama judge” when Tigar on Nov. 19 blocked the policy and later refused to immediately reinstate it. That brought a rebuke of Trump from Chief Justice John G. Roberts Jr., who defended the independence of the federal judiciary. The administration argued that those who cross into the country illegally could still apply for asylum, but their illegal passage would be a reason to deny it. A group of Republican former Department of Justice officials, including two former acting attorneys general and a former director of the FBI, told the Supreme Court that would be just a clever way around the law. Lee Gelernt of the American Civil Liberties Union, representing those challenging the regulation, said in its brief to the court that the policy could not be justified. “The administration’s quarrel here is really with the longstanding and fundamental policy decision Congress made four decades ago and consistently and explicitly reaffirmed over the years, even as it enacted other significant restrictions on asylum eligibility and procedures,” the ACLU’s brief states. It also said it was fundamentally unfair to those with legitimate asylum claims. The case is Trump v. East Bay Sanctuary.